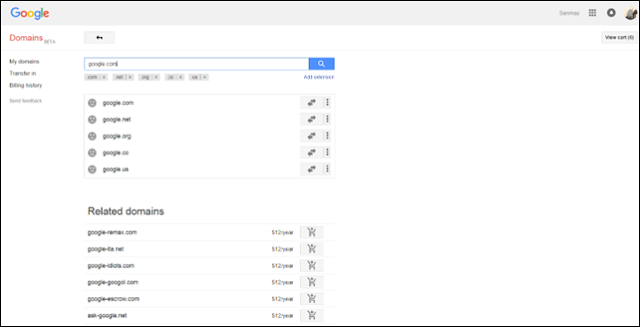 Even if you do not know about how domains work, you do recognise Google.com and the power it holds. 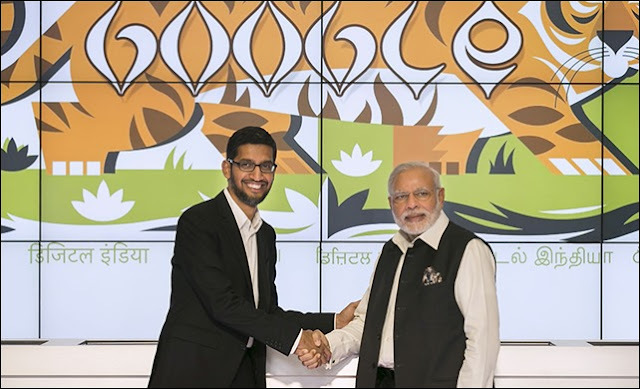 Sanmay Ved, an MBA student, who originates from Kutch region of Gujarat, ended up buying Google.com for a meagre 12 dollars. It was not a system error, like when you read reports of banks transferring millions into an account by mistake for a few minutes. 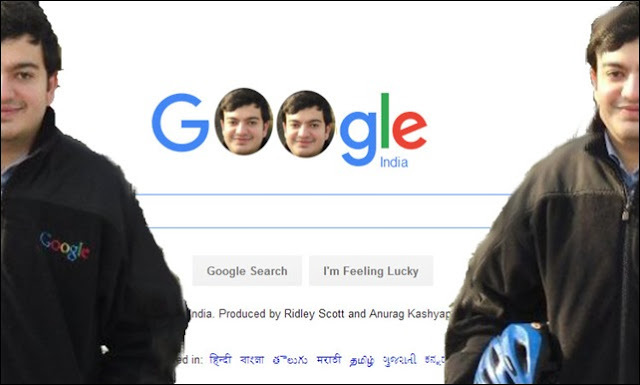 Sanmay actually became the legitimate owner of the 'almighty' Google.com. He described his experience in a linkedin post with screenshots of the transaction. "A strange thing happened at 1:20 AM Eastern Time on Tuesday, September 29. 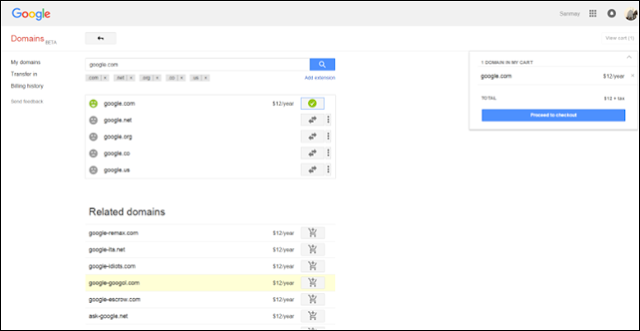 I was learning more about the Google Domains interface, and typed google.com and clicked search domains. To my surprise, Google.com was showing as available! I clicked the add to cart icon beside the domain (which should not appear if the domain is not available for sale). The domain actually got added to my cart as seen by the green check-box, and the domain appeared in my cart. I was hoping I would get an error at sometime saying transaction did not go through, but I was able to complete purchase, and my credit card was actually charged! As soon as I completed purchase, I received two emails, one from sc-noreply@google.com, and one from wmt-noreply@google.com, which is not the norm when you book domains via Google Domains as I have booked new, previously un-registered domains before, and I have never received emails from the above aliases on booking the domains. 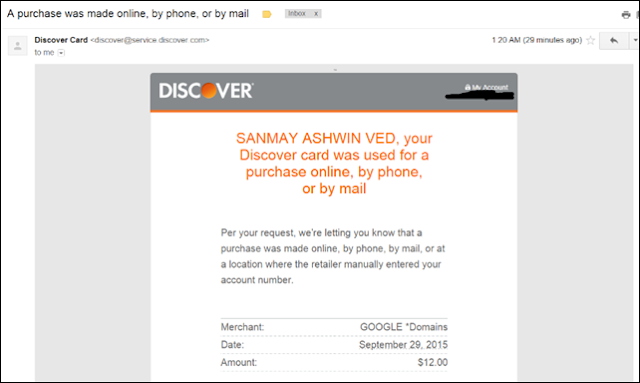 I will not share the contents of the emails here given they relate to the Google.com domain. 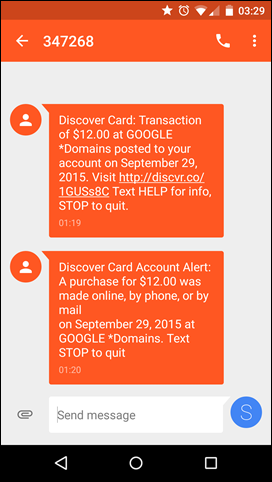 The domain also successfully appeared in my Google Domains order history. Additionally, my Google Search Console (aka Google Webmaster Tools) was auto-updated with webmaster related messages for the Google.com domain which actually means ownership was transferred to me! One gets the below messages in Search Console only for those domains for which one is the verified admin/verified owner (of course access was removed when domain was taken back by Google). Though purchase had successfully gone through, and domain now belonged to me as evident above, the purchase was followed by an order cancellation email from Google Domains. Google could do this given the registration service used by me (aka Google Domains) belonged to Google, unlike the 2003 event in which Microsoft forgot to renew their Hotmail UK domain which was registered with Nominet UK. As a result, the Hotmail UK domain was returned to the open market for pickup by anybody who fancied it. Somebody else picked it up, and as Microsoft wasn't the registrar themselves, Microsoft wasn't able to cancel the order, and take it back automatically. In my case, I don't know what caused Google to lose ownership of the domain Google.com as a result of which it was available in the open market. The purchase got completed and the card was charged (which would not have happened unless I actually successfully completed checkout, as otherwise I would have received an error). The charge was not a pre-auth. The order history page auto-updated itself with a new message (missed taking a screenshot when the canceled message was not appearing). 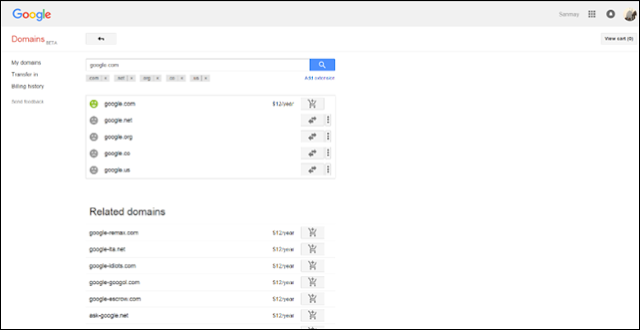 On searching again for the domain Google.com, it now finally shows as unavailable. The Indian Prime Minister's visit did work wonders...it ended up convincing Google to sell the most visited domain on the internet to a person from the Kutch region of the Indian Prime Minister's home state...albeit just for a minute or so :) "
You can follow Sanmay Ved on Linkedin here.